Dr Rohat Kutlay was born in the city of Agri in 1966. He completed his primary, secondary and high school education in Ankara. In 1984, he entered the Faculty of Medicine of Ankara University. After graduating in 1990, he started his PhD in `plastic and reconstructive surgery` at Ankara University at Numune Hospital. In his term of proficiency, he worked in Plastic Surgery Clinic at the Karolinska Institute in Stockholm, Sweden. He completed his specialization in 1996 and was appointed to Gaziantep State Hospital as a Plastic Surgery specialist. In 2012, he started to work in the private sector and moved to Northern Cyprus. 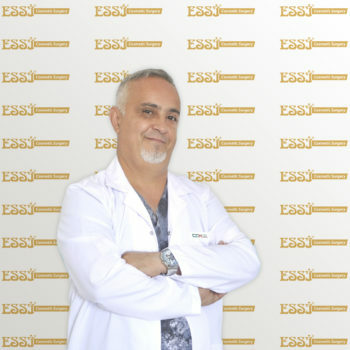 Currently, he is the cosmetic surgeon of Essi Cosmetic Surgery in Cyprus, working at Cyprus Central Hospital. He is specialized in all types of cosmetic surgeries including nose reshaping, breast implants and hair transplantation. He performs his surgeries in North Cyprus and he is fluent in English.